If you are looking for information on the Motel 6 franchise business opportunity, Motel 6 hotel franchises or Motel 6 franchising, then you have come to the right place. 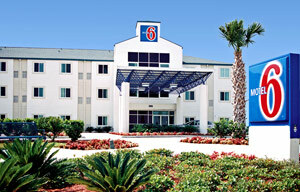 Founded in 1962 in Santa Barbara, California, Motel 6 is synonymous with a great travel value. The first Motel 6 in Santa Barbara still leaves the light on today, but a lot has changed for the motel chain that pioneered the first real budget motel designed for the no-frills traveler. The brand continues to grow and currently has more than 800 locations with over 85,000 rooms in the United States and Canada. As part of the Accor family, Motel 6 is now the largest owned and operated hotel chain in North America. Accor is the largest hotel operator in the world with more than 3,600 hotels in 90 countries.